Extra Wide Dual wheel polyethylene truck mudguard Part # P700. This mudguard suits dual wheels and has extra wide coverage. Please enquire min qty's may apply on some colours. It has great resistance against UV rays and chemicals. 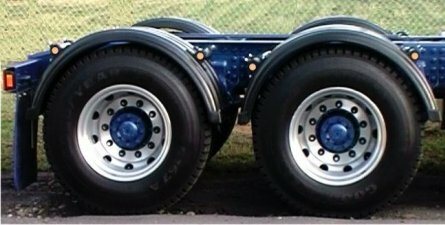 Please view our mounting brackets and chassis poles for fitting components.